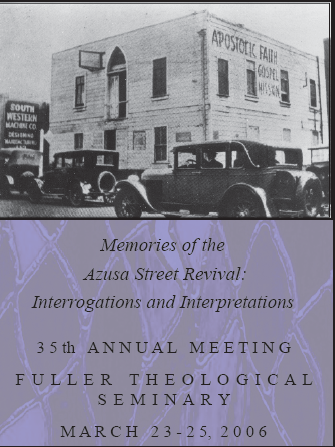 Digital Showcase - Society for Pentecostal Studies Annual Meeting Papers: "THE END OF CONVERGENCE? A REFLECTION ON "THE EMERGENCE OF CONVERGENCE" (TULSA, OK SPS 2001) FIVE YEARS LATER"
"THE END OF CONVERGENCE? A REFLECTION ON "THE EMERGENCE OF CONVERGENCE" (TULSA, OK SPS 2001) FIVE YEARS LATER"